For the last three years, he has been serving as president of the San Francisco/Northern California Chapter of The National Academy of Television Arts & Sciences. Not just a big job, but one that keeps Shlisky busy week after week. He also has his own business, producing and editing three or four video projects a year. Add in his work as an instructor at Laney College in Oakland, where he has been teaching television and video production for the last 18 years. 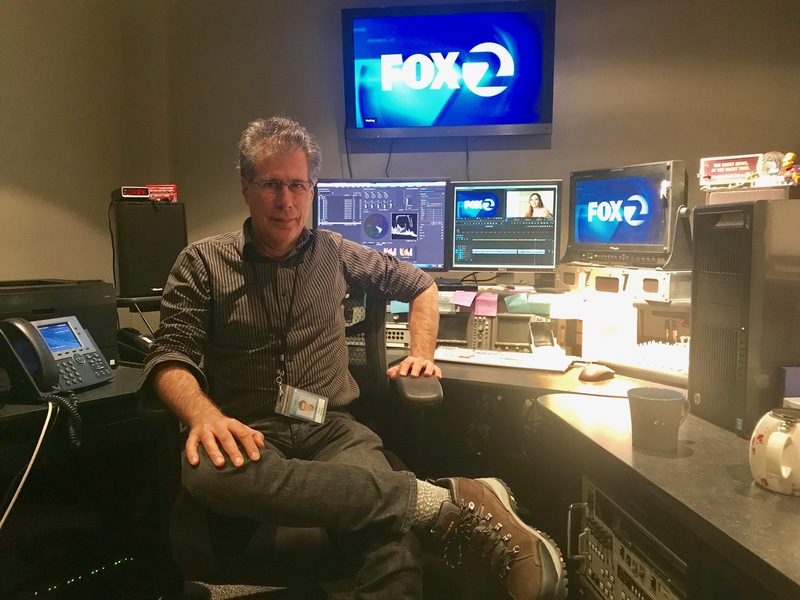 Of course, there’s also the nearly 40 years he had spent at KTVU Fox 2 as one of the station’s most prolifically award-honored video editors and producers. .
For nearly four decades, Shlisky was a mainstay at Oakland’s KTVU. At 22, he started out as a film editor for them on Oct. 11, 1980. At that time, Jimmy Carter was our nation’s 39th president, and Dallas was television’s No. 1 prime-time series. That’s how long ago it was. And, Shlisky has seen it all, including through all of the ongoing technological changes, from film to digital. 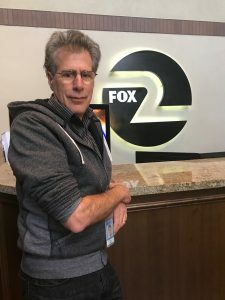 His tenure at KTVU came to an end on March 1, when he retired from KTVU after nearly 39 years there. Prior to that, his only other TV job had been with KNTV Channel 11 in San Jose, which is now branded as NBC Bay Area. In February of 1980, he went to work there as a film editor for six months and as a production assistant for the station’s documentary unit before landing at KTVU. “As a film editor, I put commercial breaks in feature films,” Shlisky said. “In other words, if the film was too long for the time slot it would air in, I was responsible for trimming it down, too. Even before his career in television began, Shlisky, now 61, worked in Los Angeles after graduating from San Jose State University. He took a job at a company that specialized in film to video transfers. KTVU film editor Doug Louie, left, works with Steve Shlisky on a project for the station. Yet, as a young boy, Shlisky never thought he’d go to work in television. A Bay Area boy — he grew up in Cupertino and Saratoga — Shlisky ended up in the business because of the relationship with his father, who was a huge film buff. Shlisky said he didn’t really know what he wanted to do with his life until his senior year at Saratoga High School. Then, with his love of films and moviemaking, he took the plunge into TV. Shlisky announced last month that he was ready to retire from the station he has called home for nearly 39 years. Immediately, his friends and colleagues began singing the praises. 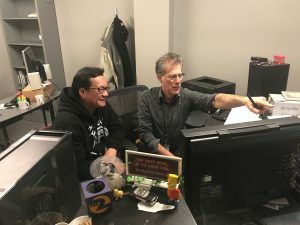 “Steve is a fantastic editor,” said Caroline Klas Chang, KTVU’s former head of programming, traffic and sales. She worked there from 1970 to 2010.